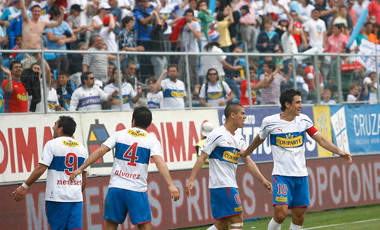 Chilean domestic football is to see a new division added to the league system in 2012 with the creation of a professional third division; the ‘Segunda División’, below the Primera División and Primera B. The move was approved by the ANFP (Asociación Nacional de Fútbol Profesional) when the Presidents Council met yesterday (22 November). Currently Tercera (Third) A and B are directly below the Primera Divisións and are amateur leagues. However the new ‘Segunda División’ would be under the control of ANFP, the country’s professional association. The new league will consist of six ‘subsidiaries’ from the Primera División, i.e. reserve teams – similar to that in Spain and Germany – and six others teams that can comply with the guidelines imposed by the ANFP. 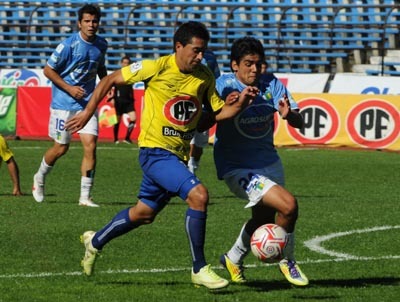 Copiapó and Melipilla are two teams expected to take a place in the new league while the remaining four places will be given to clubs who can meet conditions set out by the ANFP, set around finance and infrastructure. A ‘quirk’ to the league is that all players registered must be under the age of 25. The winners of the division will be promoted to Primera B and the bottom team relegated to Tercera A. 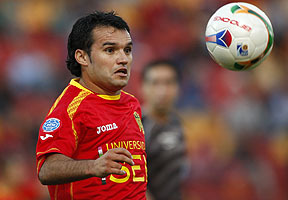 It was a night of celebration in the Estadio Santa-Laura Universidad SEK as Unión Española consolidated their place in the play-off positions, – bringing them into the reckoning for the race to qualify for the Copa Libatadroes – defeating O’Higgins 3-1 in an exciting encounter, which saw Leonardo Monje score his 100th career goal and then follow it up with a second to begin his quest for the next 100. Both teams were happy to take risks and pass from the back, but when the moment appeared explode into an attacking force with quick, sharp passing. In the end the difference between the two teams their defending. With Uruguayan Diego Scotti sitting in front of a back three that included Ecuadorian internationalist, and ex-Birmingham defender, Giovanny Espinoza, Unión Española had the necessary defensive experience and solidity to complement their attacking verve.